We believe shared singing is great fun and builds and strengthens community and self expression. We want singing to be a greater part of our daily lives. We hope that these pages give you ideas and resources to help you clearly envision and set up the group singing situation you prefer. Julia Friend and Nicole Singer put these resources together, with content and suggestions from: Chris Bracken, Ulrike Brauneis, Dennis Cook, Judy Cook, Alan Friend, Rosalie Friend, Chloe Maher, Liz Minler, Rick Mohr, Justin Morrison, Talitha Phillips, Scott Prouty, Ken Schatz, Charmaine Slaven, Natty Smith, Stefan Read, Jenni Voorhees, Heather Wood. Thank you, all! Click on the tabs below to read more in your area of interest. Within each tab are accordian dropdowns to information in that category. Click on the accordian title to open the article; click on it again to close it. If you would like to download the complete starter kit as a PDF, click here. Your event can take any shape or form you like! There are a lot of possibilities. Here are some ideas and questions to help you get started. What kind of songs and format do you have in mind? Do you want to focus on a particular style or genre? Should attendees bring, share, or sing from books or pages of lyrics? See the How Will Your Sing Work dropdown for more info. When and where do you want to have the event? How frequently will it be held? Is the time and location accessible to the people you hope will be there? The location and atmosphere of the venue influences how people get there, how many people you can have at the event, and often has an impact on the type of songs that get sung. If you want a very quiet sing, you might be making different choices than if you wanted a more boisterous one. See the Finding a Venue dropdown. How will you get the word out and encourage attendance? How many people do you expect, and will there be time for them all to sing a song if they want to? Will potential attendees share your expectations about genre, atmosphere, and decorum? What is their musical background – camp songs, religious music, traditional folk, karaoke, choir? If you want to focus on a genre that participants are unfamiliar with, you might need to provide extra assistance to get them started. See the Publicity dropdown and Facilitating under How Will Your Sing Work. Invite people for a weekend retreat in which singing is the main activity. Host a concert or dance with a singing session afterwards. "Sing for Your Supper": Invite people for a dinner party. They can serenade you as you cook or sing after. Caroling and wassailing or "singing on the move." Invite folks to sing seasonal songs door to door. You can pick songs everyone knows or practice once right before heading out the door. You may check with neighbors to make sure a few will be home and are willing to be serenaded at their doorstep. Make singing a feature of another activity such as apple pressing, craft night, baking, gardening, hiking, boating. The space you’re in will affect the mood and functions of your session. Every venue offers different advantages and requires a venue-specific approach to publicity, cost, and accessibility. Regardless of whether you chose a public or private venue you’ll want to have a good working relationship with the host, a singing space (with seating) that’s a good size for your group, an environment that isn’t too loud to sing in and where your group can make noise without bothering others, access to beverages/snacks/bathrooms, and a venue that is accessible to participants. This could be a park, coffee shop, community center, religious hall, campus space, pub, restaurant, VFW, school, or library. In these venues passers-by might hear the music and join you spontaneously. If similar events take place there it may already be a hangout for people who would like your event. So how do you pitch your event to secure a venue? Consider the interests of the owners/staff; let them know what your event can do for them. Try to establish a symbiotic relationship. Publicity: Bringing in a group of singers brings business to pubs and restaurants, and advertising the event raises the profile of the venue within the community. Be easy to work with: Suggest a few trial sessions so you can prove yourself to the owner before they commit to a weekly or monthly booking. Offer to hold your event mid-week to boost sales on an otherwise slow day and avoid crowding out regular customers. A bar that already has a trivia night, open mic, or other music session might add you to the schedule. It’s a bonus if the owner or staff is interested in your music, but this isn’t always possible or necessary. Here are some suggestions about tasks to be aware of before, during, and after your event. Before the event: Establish some expectations and agreements with the owners and staff of the venue. You may offer to do your own setup and cleanup (moving furniture, clearing garbage). Make sure you’re easy to get in touch with if there are scheduling changes. On the day of the event: Introduce yourself to the wait staff / bartender so they know what’s going on and who to communicate with. Employees aren’t always notified of scheduled events so be prepared to explain. While you’re at it, you may choose to welcome the staff or regular customers to participate if they’re not busy. Establish an informal liaison between staff and singers (see “Facilitating”). Remind your singers to buy food or drinks to support the venue, and to tip the staff well. At the end of the event: Stick to your agreed-upon schedule; clean and clear out on time. Thank the hosts! This might mean that the event is at your home, someone else’s home, or that the event is restricted to a certain community, like students in a college campus building. First and foremost, continue to check on the needs of your host (if it’s at your house this includes housemates too!) to make sure everyone is happy with the situation. Communicate your vision for the event with your host (and if you are the host, reflect on this as well). If the nature of the singing changes or the participants change, will your host ask you to find a new location? Will your host need a break for a few weeks or months? Will they want other folks to bring refreshments? It’s their call! Keep checking in so you won’t be taken by surprise if they request a change. Make sure your host is comfortable with strangers walking into the space if you plan on advertising to the public. Alternatives are to restrict the advertising to word-of-mouth or employ the bring-a-friend strategy. If you are hosting public events in a private residence you’ll want to find a way to overcome strangers’ hesitance toward entering a space that may seem awkward or too intimate to just drop in and check it out. If you use private venues you may choose to rotate locations and hosts. It might be hard to keep people informed of the next event’s location but it lets everyone experience the grace of hospitality, refreshes the group dynamic, and spreads the responsibilities that go along with hosting. Make it easy for people to attend by considering how they’ll get to your event. Is your venue accessible by public transportation? By walking paths? By car? Is there parking space? Is it wheelchair-accessible? Is it a space that is open early or late enough for you to set up and clean up within the hours permitted by the hosts? Keep in mind that an inaccessible event might be considered exclusive. Although no venue is perfect, you can improve the accessibility of the venue you find. You can set up a forum for participants to plan carpools or walk together. Check bus or train time tables: Does the last bus leave 10 minutes before the end of your session? Would people arrive 45 minutes before the official start? Maybe you can adjust the timing of your session accordingly. Different aspects of accessibility often pertain to different demographics — students and young folks may be less likely to have cars, for example. How are you going to get the word out about your event? Here are some suggestions. Publicity should quickly communicate the positive feeling of the event before the details: advertise whimsically rather than informatively. And of course, remember to include the date, time, location and, if possible, contact information and brief directions or landmark indicators (e.g. “Just a block from the Porter Square train station!”). You can publicize near and far. It’s fun to get drop-in singers who are visiting from out of town. Potential outlets for publicity: Facebook, fliers at other events (other music events, farmer’s markets, etc), links from webpages, youtube video of your first gathering, co-sponsorships, word of mouth,... cast a wide net. You might also be able to use the advertising strategies that your host uses. For example, community centers, houses of worship, pubs, and restaurants might have newsletters, bulletin boards, mailing lists, and online calendars where you can place an announcement. 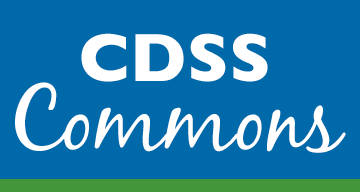 CDSS and other folk music groups (look up your local folk music society!) might have similar newsletters and email lists that you could use. How Will Your Sing Work? A great way to make sure everyone has a good time is to clearly express your vision for the singing event. In addition, you can express expectations of content and procedures when you publicize your event, and at the event itself. This gives everyone the confidence to participate and avoids conflicting expectations among participants. Here is some advice you may find helpful. Why the structure? Sometimes people feel anxious that they won’t get to lead a song, scared they’ll have to sing before they’re ready, or annoyed by an attention hog. People may respond by feeling unwilling to sing or by becoming more aggressive in order to be heard. In these situations singers are unable to listen to and enjoy one another’s songs. Procedures for who sings next will greatly reduce these problems! There are lots of ways to figure out who should lead the next song. Here are a few commonly-used procedures. Clue in latecomers on the procedure because some of the following aren’t obvious at a glance. Taking turns in a circle: let each singer sing in turn, in order around a circle. This can be a good option for midsized groups. It is very equal opportunity and requires little facilitation, but if the group is too large it can get tedious. You may wind up with strange sequences of songs and have no power to increase the energy or monitor the type of songs. Pass an object in a circle or at random: The person holding it has the floor. As they sing, they “tag” the next singer by passing the object to them. If this person doesn’t want to sing they can pass it again. This method doesn’t guarantee that everyone gets a turn right away but it allows people to request the object when they’re ready to sing. It also gives each singer the chance to invite other members of the group to participate. It can create a very strong group dynamic for this reason. It can also create an atmosphere of controlled chaos; some prefer it, others don’t. Free-for-all: This is a good option if everyone is familiar with the situation, will sing unprompted, and will respect others’ turns. Also possible in any small group. Sometimes participants request songs from other singers in the group. If someone doesn't know a song well enough to lead it, they might ask, "Does anyone know [insert song title here]?" Or, "Would you lead [song title here]?" Odds are, whoever knows it will lead it. Occasionally, the person who is asked to lead a particular song might not be in the mood to do so. You may encourage participants to make requests of one another before the sing or during breaks. This way, the person being asked to sing does not feel put on the spot in the middle of the group and can decide when (if at all) to sing the requested song. If you’re asked to lead a song, you might also ask the person who requested it if they would like to lead it or to co-lead it with you. This is can be a good way to support and encourage new or nervous singers to lead. Singing from memory only: no pieces of paper or computer/phone allowed. Participants are responsible for preparing songs beforehand, thus building repertoire. A singer shares their version of a song and everyone else tries singing that version even when it is unfamiliar to them. Asking participants to lead songs from memory encourages the other singers to try learning by ear and to listen actively. This method also emphasizes that each singer’s rendition of a song is different, that changes are okay, and that mistakes add to the fun. Allowing yourself and others to forget, improvise, and recreate on the spot is what makes it sharing with the group rather than performing. In a good singing gathering, trust is established, and people make mistakes without embarrassment. If you try this procedure and want to help singers find repertoire, check out the Song Resources dropdown under the General Information tab (you'll need to scroll down and click on Song Resources). The leader of a song sings from a word sheet but others don’t have the words. This option can boost a leader’s confidence, making it easier for some people to participate. Everyone else still takes their cue from the leader, so they are still listening and learning by ear. Singers may copy their songs in their own books, reinforcing the idea of building personal repertoires. Everyone sings out of one or several song books. Song books can inspire people as they flip through the pages, reminding them of good songs to sing and providing lyrics (or chords) so that everyone can sing or play along even if they’re unfamiliar with the song. People who are nervous about memorizing lyrics can use books to help them sing confidently. Singers who find a song that they like in a book can use the information about the song as a springboard to look for other songs they like in the same genre or by the same musician. Some song compilations give notes about the history of the song, where, when, and by whom it was written and collected, and who has recorded different versions of it. All of this information can be helpful and intriguing to both new and experienced singers, especially if they’re hoping to build a repertoire. However, one of the exciting things about a folk sing is that you can learn songs from other attendees that you might have never heard before, and share songs that they might not have heard either. If a singing event consistently turns to a book for guidance, eventually the group will have a shared repertoire. While this might make the group sound pretty, the spontaneous learning opportunities and song-sharing aspects of the oral folk song tradition are lost. Using books also makes it difficult to connect with other singers and instrumentalists during a song. Eye contact and body language give a warm and connected feel to a singing community that can be lost when everyone is looking at a book. Such connection also helps singers and instrumentalists coordinate who will lead an additional verse or take an instrumental solo. If you feel that the benefits of using song books at a gathering outweigh the challenges, you can intersperse songs that aren't in the books you use, and encourage others to do so too. You can also encourage people to close the book if everyone knows the lyrics (or different lyrics) already so that the singers can connect with one another. This middle ground strategy can be helpful while you introduce your singers to the idea of building their own memorized song repertoires. You can divide the event by type of song (specifically child-friendly songs for the first hour, ballads after 10pm, whatever). You can also foster traditions that make your session unique. For example, end the session with the same “closing song” each time so it becomes familiar and the group can always end with gusto. On the topic of traditions, often a participant’s mildly crazy-making quirks can be transformed into relished traditions. The guy who stands on his head every week and plays O Canada on a harmonica through his nose might annoy you at first. However, the act of tolerance (sitting through it with good humor, gleefully participating in the ridiculous or the less-than-stellar) can be a strong community building tool of your singing session, making it truly welcoming and supportive. Other community building procedures like asking participants to introduce themselves to the group can encourage a welcoming atmosphere, as can taking a break mid-sing to chat, get drinks, etc. Keep an eye out for inside joke type songs that might confuse and alienate newcomers. Parody songs can pose this problem to folks who don’t know the originals. Parodies are usually valued because the original song is a well known (possibly over-sung) favorite among regulars. They are often funniest the first time you hear them, and can lose their appeal when they are sung regularly. Encourage each singer to say how they want the group to participate: “I want to try this without instruments” / “please join in on the chorus” / “please join in on the verses if you know them” / “go crazy with the harmony” / “I like this song because it’s slow and quiet” / “I want to try this with instruments”/ “this one is in the key of G if anyone wants to play along slowly”. Giving these participation cues can help you steer clear of conflict. For example, some sessions are instrument-focused, some are singing-focused, and some combine the two. In singing-focused events, singers and instrumentalists can avoid butting heads when an instrumentalist wants to join in on a song and the leader wants it to be a capella, if your sing has established the procedure of quickly clarifying this focus before a song. A facilitator is a communicator for a group. A successful facilitator empowers members of a group to participate fully, share positive experiences, and create a community. A successful facilitator makes the group, not her- or himself, the center of attention. When and why might you want to have a facilitator? A facilitator is a go-to person who can answer questions from venue personnel, session attendees, and curious onlookers. A facilitator communicates procedures (see Possible Structures & Procedures above), makes announcements, keeps track of time, and keeps an eye out for anything that might be amiss. Sometimes a facilitator must “break the ice” at a session. If the group is very large, the singers don’t know each other, or if they are new and a little nervous, the encouragement of a facilitator can make everyone feel welcome (see Encourage Participation below). Be the voice for the group. You can think of this as an informal MC role. It’s great to enlist the help of others in the group. Start off by greeting people as they arrive, verbalizing the procedure for the evening (see “Possible Structures and Procedures”) and getting the first song started. If the group is quiet, then make it your job to enthusiastically thank each singer. Continue to welcome latecomers and repeat procedures as necessary. Remind folks to patronize the bar or pitch in with cleanup, etc. Ask for announcements at the end so folks can plug related events. Invite people to sign a mailing list. If sub-groups are chatting between or during songs and dividing the group’s attention, keep things rolling by reminding people that there’s a social break later or calling for another song. Publicly request a song from anyone who wants to sing but can’t get the group’s attention. Is someone dominating the singing? Specifically ask for people who haven’t shared a song yet. If a few people are dominating the singing, appeal to their sense of fair play, enlist their help, and flatter them a bit. Sidle over quietly, "Great to hear you, but we're trying to get some of the shy ones to sing too. Anyone you know here who might like to be asked?" Boost the energy, genre, and skill level. You can encourage variety or send the songs in a particular thematic direction simply by appealing to the group: “The last song would be a great segue to songs about ______.” “Does anyone have another chorus song to lead?” “How about a good old foot stomping, finger snapping number” Monitoring song difficulty and the amount of teaching preceding each song will keep the group going strong. Facilitators can interject with questions for the song leader: “Would you mind leading us through that chorus a few times so we can all learn it?” or can leave it up to each singer to determine. Song leaders or facilitators should keep the following in mind: If there is a chorus, make sure people are able to sing it. You can teach it beforehand or remind people it’s okay to learn it while singing it. (“Don’t be afraid of messing up!”) If necessary, pick a song or two that even the newest people can join in on quickly. What makes a chorus easy? Few words, few notes, lots of attitude! This is an important strategy for encouraging participation and keeping the mood up. Kick off your singing session by inviting a mix of new and experienced singers from varied singing backgrounds. Consider inviting some strong song leaders, people who share your vision and can lead a song or join in with gusto in your chosen genre. These people can keep the singing going while you encourage newcomers to participate. ake sure that new singers don’t feel lost or outnumbered. Joining in as a new singer can be tricky or discouraging if the other singers all know the same set of songs. In these situations a newcomer notices everyone joining in on all the songs except theirs and feels unwelcome although it’s just because their song is less familiar to the group. Acknowledge people’s areas of musical familiarity/expertise. People will share surprising songs that enrich the experience, and may then feel confident about/ interested in trying unfamiliar traditional songs. Remind people that they know good songs from their everyday lives: songs they’ve heard on the radio, learned at camp, on their rugby team, from their parents and friends etc. Help people find songs to learn if they want you to. You can recommend books, music, or websites, and encouraging participants to talk to one another, asking each other how they learned that song, what its history is, and where they can find more like it. This is a great way to get to know your fellow singers and to get to know a whole lot about music. See “Song Resources” for more places to look for great songs. Remind people of all the ways they can participate, such as leading a song, poem, or monologue, requesting a song from someone else, joining in on the chorus, or listening appreciatively.